This photo taken on July 3rd shows the unique summer bloom on this variety. 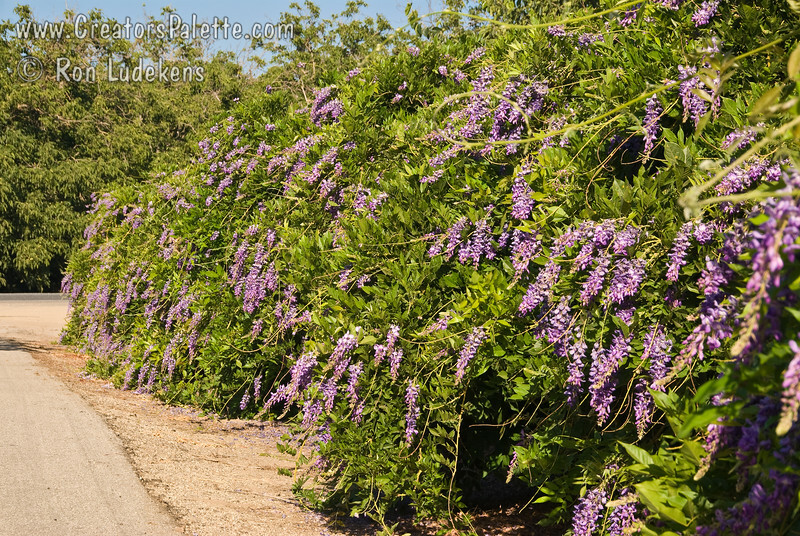 Impressive show of large, fragrant, beautiful purple blossoms on long racemes covering vines in early spring. The unique smaller spikes of purple blooms during the summer months makes this variety out-sell all other varieties combined.